yesterday I wondered how the vat was doing-since I had not dyed anything for 3 days while I entertained and cooked for a crowd of graduates and other guests. a party. it was doing just fine. I think I missed it more than it missed me. The Long Beach Quilt Festival is next week. It will be the last one held here. They are moving on to greener pastures it seems. 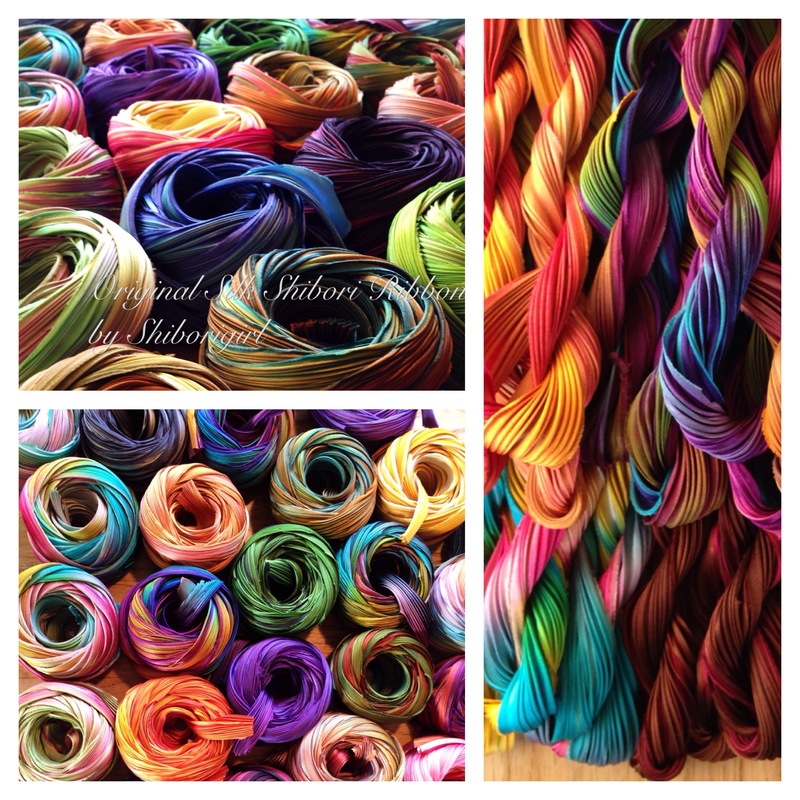 I will be there-booth #1315 I think… also teaching a flower class with some needle felting of the Shibori ribbon. I am wondering how much longer the shows can remain a financially viable vehicle for me to get my work out there. The new show they are replacing it with will be in Portland and of course require travel expenses in addition. But no paid teaching opportunities to help offset the cost. Only quick unpaid seminars/ demos on the show floor. Doubt I can justify that. Will have to think on that one. 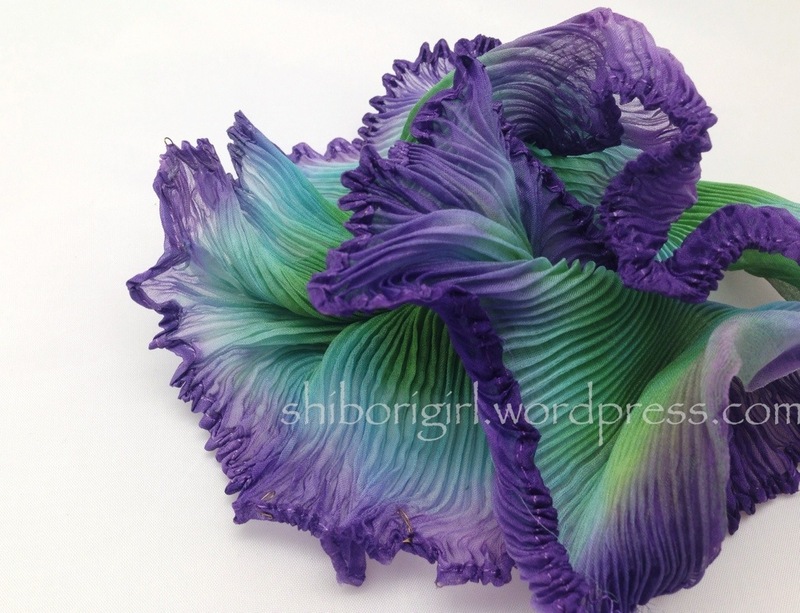 This entry was posted in business of craft, flowers, long beach quilt festival, shibori, wondering on July 26, 2013 by shiborigirl. 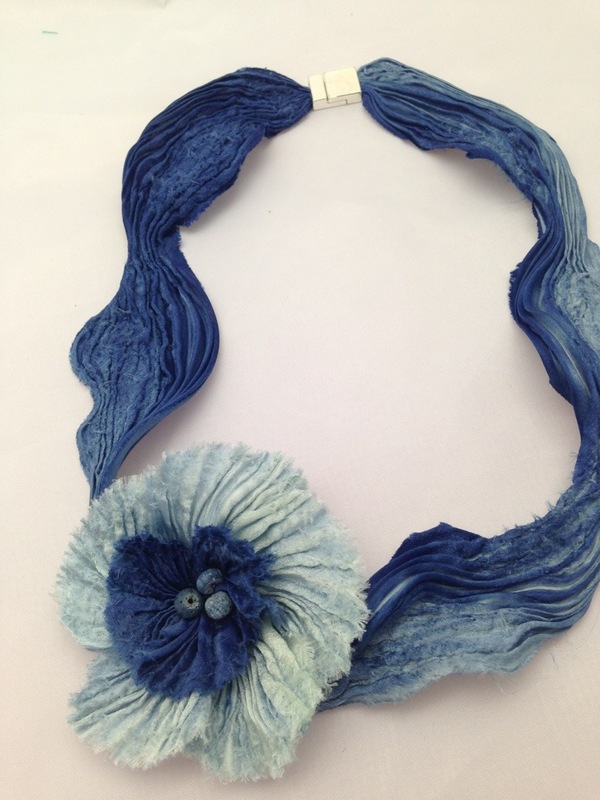 This entry was posted in fashion, flowers, long beach quilt festival, quilting, shibori, shibori ribbon, silk, silk shibori ribbon flowers on July 19, 2010 by shiborigirl. more feeding-that’s what! here’s one doing the “feed me dance”. good thing the folks on the corner of california and bixby are so accommodating. the gal with the blue hands who shows up in the old volvo everyday with a tree trimmer gathering leaves for the worms…must be a bit entertaining. bryce was by to help feed and clean the worm trays- he lives in ID now but was in one of the 4th grade classes we taught a few years ago. we also counted them- appears to be around 230-ish. they are very friendly and even beautiful- their markings are individually unique and although the pointy spike on their back might suggest danger or pain, it is soft and rubbery- just a gentle warning and not at all what it seems. they have no eyes even though their markings suggest otherwise. 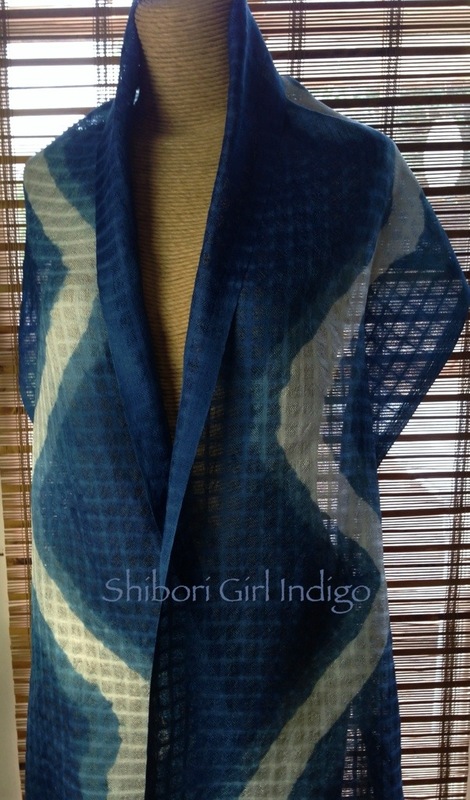 what if indigo on silk satin looked like the sea? what if oil stopped flowing into it? 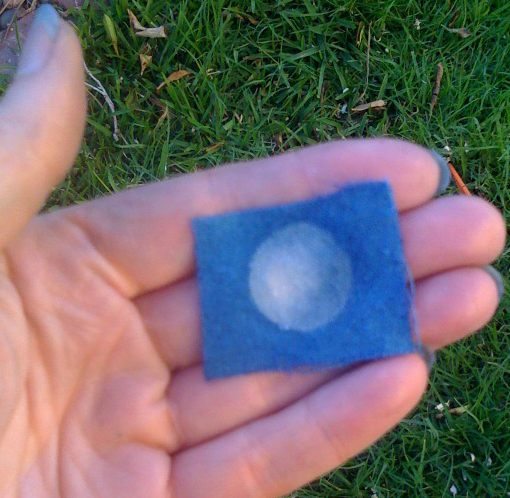 which made me wonder what if indigo on cotton looked like the sky? so, what’s up with you? This entry was posted in indigo, long beach quilt festival, sericulture, shibori, silkworms and tagged sea, sky on June 17, 2010 by shiborigirl. some days, i find myself feeling a little like this guy- needing to get away from it all. i suppose a respite from the maddening munching crowd was a welcome relief for him- they are getting big enough you can actually hear them eating! they are just endlessly fascinating! between caretaking them, foraging for local mulberry, dyeing, ironing silk, and a hundred other tasks (class proposals for Cincinatti 2011) orders, and getting things together for the Long Beach show, i decided to close the etsy and big cartel shops for a few weeks. i need fewer distractions in order to get some work together to fill the booth otherwise it feels as if i am a pup chasing its tail! so look for them to open in a few weeks- let you know on that account. even though i am in Jude’s class i haven’t had time to enjoy it except as an observer of all the wonderful and creative thinking going on over there. that alone is worth the cost of admission. such lovely work and words- nice to see some of my indigo put to use in so many ways. Her next class is here. we had some travelers stop by the other day. family from Iceland dropped in and we got the boys together as well before one takes off on another band tour. we ate, visited, and of course, had a little time for blue. 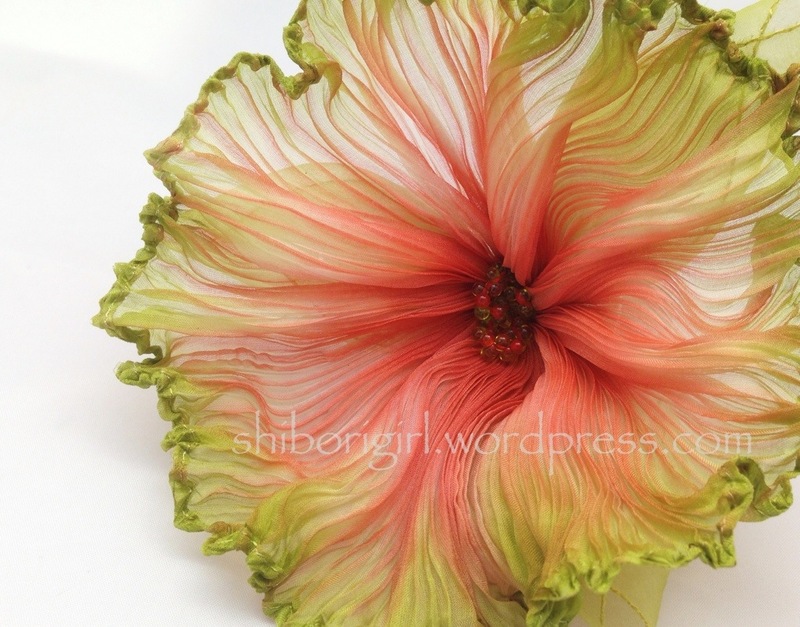 This entry was posted in long beach quilt festival, online workshop, quilting, sericulture, shibori, shibori ribbon, silk, silkworms, workshop and tagged silk study tour to japan on June 9, 2010 by shiborigirl.